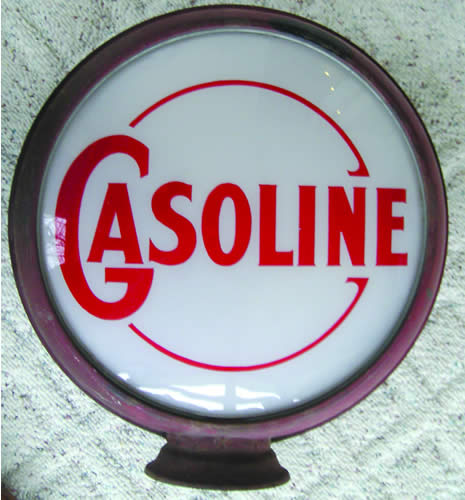 Advertising Globe for Gasoline. The globe is round with red text on a white background. The text is ornate and detailed.